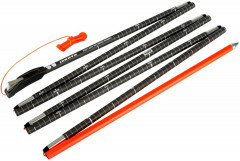 A lightweight probe from Mammut with a robust tensioning system. 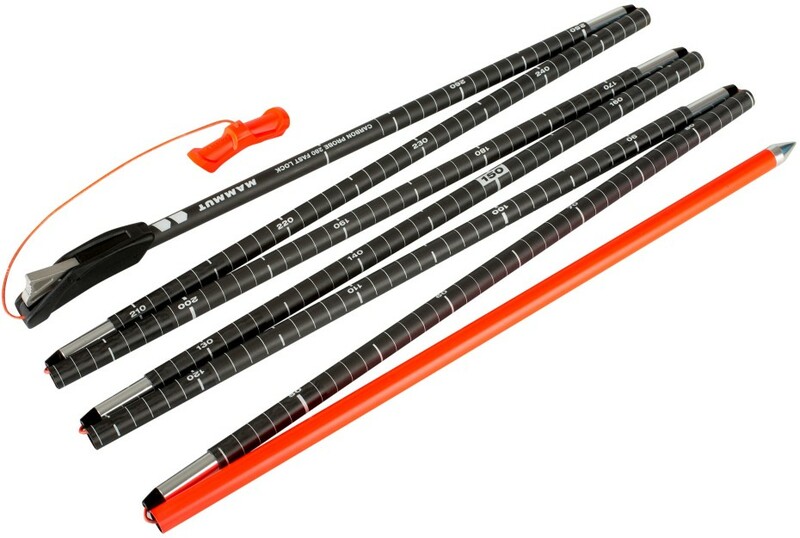 The Fast Lock Carbon Probes have stable, lightweight segments that snap together with a telescopic locking mechanism that is easy to use with gloves on. The tip is drop-shaped to help save energy when probing, and the sides are marked with precise scales so you know your target depth. The Mammut Carbon 240 Light probe is light enough to race with and useful enough for touring. The 280 and 320 lengths are excellent lengths for touring and frequent pit-work. High-quality carbon fiber segments are stable and lightweight. Telescopic tensioning system is reliable and suitable for gloves. Drop-shaped tip enables energy-saving probing in hard snow. Interesting probe cover has an integrated emergency plan. Durable tensioning cord allows for high tensile, stable probing. Depth scale printed on the side is extremely precise.